Up-close elephant encounters are the highlight of many a visit to Thailand. Even though welfare concerns are increasingly recognized, the explosive mix of demand plus vast profits means this largely unregulated industry continues to boom. 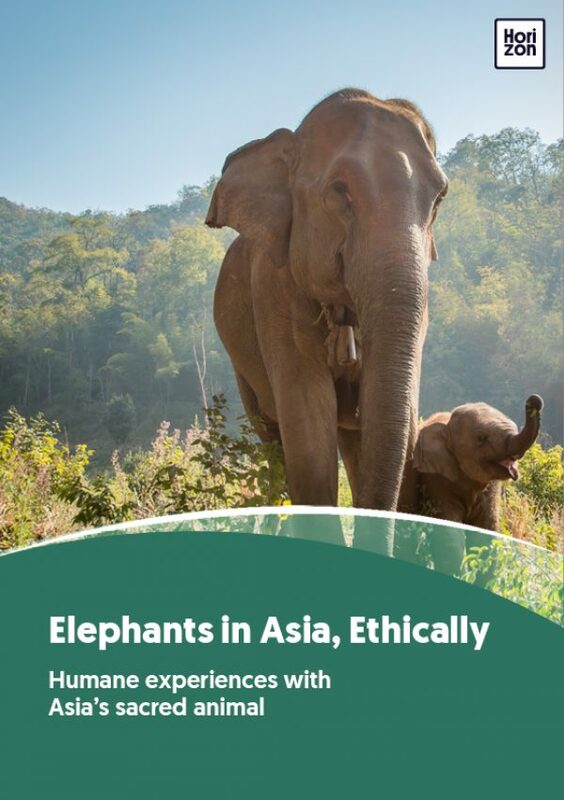 Wise to the demand for ethical tourism, many elephant businesses now claim to offer “sanctuary” to captive elephants but sadly this is not always the case. All too often camps claiming to “save” elephants keep their animals in confined spaces, use harsh training methods, and make no meaningful contribution to the conservation of the species. Thanks to the efforts of NGOs and campaigning organisations, responsible tour operators and vocal travel bloggers, travelLers are increasingly aware of the need to tread carefully and spend their travel dollars wisely. There is plenty of good advice on what to ask before visiting an elephant sanctuary, to make sure your visit will contribute not just to the welfare of the elephants at one particular centre, but also to the conservation of the species as a whole. More people visiting the few centres with higher welfare standards means more elephants enjoying happier lives. But what about the bigger picture? Of course improving animal welfare standards is an urgent priority in Thailand. However, this alone won’t fix the sad predicament of the Asian elephant’s imminent extinction in the wild. Releasing captive elephants to the wild is challenging and, in the short term, not feasible. So let's take a look at what we can do to give them lives worth living. Elephants have never been domesticated or genetically adapted to living in captivity. True domestication, such as with dogs and horses, involves human intervention over generations – selectively breeding individual animals to manipulate their evolution, honing desired traits and eradicating unwanted characteristics. This has never happened with elephants. Captive elephants are tamed wild animals in full possession of their unpredictable temperament and behaviour. If we use elephants for entertainment we have to accept the fact that human-elephant interaction will always have a negative impact on elephants, especially when a high level of interaction with people is demanded of the animals. This is an important distinction that runs to the heart of the common argument that “if we can ride horses, why not elephants?” Aside from their very different biology and spine structure, when we ride a horse we’re sitting atop an animal that has been genetically adapted over millennia for that very purpose. For an elephant, no matter how tame, it is a profoundly alien and unnatural experience. In order to make close human contact possible, negative reinforcement training based on fear and pain, is used to control the elephants. Many professional animal trainers say that elephants can be trained without cruelty with the “protected contact” method, where commands are taught through positive reinforcement. However, elephants tamed this way cannot be used for any activity that involves direct contact with humans. Centres that offer direct interaction, such as riding, must by definition, use fear and pain to control their elephants. Cruelty-free training techniques could replace traditional methods providing we are all willing to keep a safe and respectful distance from the animals. To embrace more humane ways of working with elephants we must give up on up-close elephant encounters. But interaction with wildlife sells, so this would be a huge and unlikely concession for the captive elephant industry to make. As long as the tourist dollars keep flowing, change is highly unlikely to happen anytime soon. With animal welfare standards in mind, it is easy to conclude that riding elephants or other forced unnatural behaviour has a negative effect on the welfare of the animal. But shouldn't we think beyond minimal animal welfare standards and aim for lives worth living? If you visit captive elephant venues, observe carefully how the elephants are treated. Does the centre stimulate the natural behavior of the elephants or are the elephants forced to entertain visitors? Elephants have a roaming, grazing lifestyle and require a lot of space; in a non-fragmented forest landscape, the minimum home range for the Asian elephant can reach 300 km2. They have complex social structures and bull elephants in musth (mating “heat”) are even less suited to captivity. As long as we have elephants in captivity, their management should be based on the needs of the animals themselves while understanding their biology and behavioral ecology. Captive elephants should at least live in an environment similar to their natural habitat where human-elephant contact is minimal, or even better, non-existent. They should be able to roam free and managed by a protected contact system with no restraints or hooks, and where positive reinforcement training is used. Advocates against free-ranging facilities argue that allowing unrelated elephants to share space is difficult or even dangerous for the elephants. Indeed, introducing a new elephant to a group of unrelated animals in a free-range facility does require careful planning and management. European zoos have been working with this model for years, with even less space at their disposal than an average elephant camp in Thailand. The danger arises when people share space with the elephants and stress the animals with constant demands. Removing close contact with elephants is an important concession for all of us – travelers and the industry alike. Only then can tourism contribute to both the welfare of captive elephants and a more long-run vision of conservation for the wild, endangered species.